If you are looking for a highly experienced, professional lawyer with a down to earth, straight talking approach, our Colchester solicitors are the ones for you. We offer a tailor-made approach to law, and treat our clients as individuals, not numbers. This means that we always take the time to understand our customers' situation and legal needs, as we believe an in depth knowledge of your circumstances enables us to tackle your legal query as effectively as possible. If your query is a routine conveyancing matter your case could not be in safer hands, as our lawyers handle such matters on a daily basis, making them experts in the field of property law. In short our legal experts can handle cases large and small, so whatever your situation involves, our specialists are ready to assist. To find out how our Colchester solicitors can help, contact us today. You can reach us using the telephone number or email address at the bottom of your screen, or enter your details into the online enquiry form to the right and we will get back to you at the first available opportunity. If you need legal advice regarding accident compensation, conveyancing, crime, divorce, employment, immigration, litigation, probate or Wills, our Colchester solicitors are here to help. With offices in London, Colchester, Chelmsford and Ipswich our lawyers are approachable, down to earth and professional. 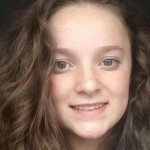 Takeaway workers have been charged and jailed for the manslaughter of a teenager, who died after eating their meals. 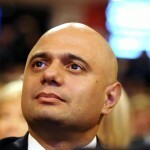 A leading human rights group has warned Sajid Javid, of his plans to expand powers to strip dual citizens of their British citizenship, they believe the home secretary is taking the UK down a "very dangerous road". 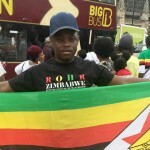 The Home Office has been accused of breaking international law by a human rights organisation after it decided to deport a Zimbabwean member of the opposition party. Speak to one of our #Colchester solicitors to discuss compensation if you've been injured on the road, at work or in a public place. Get in touch with our litigation team on 01206 500 181 if you need help with a boundary dispute, professional negligence or defamation.